Make This Colorful Festival More Cheerful By Gifting This Cute Unique Water Gun Pichkari To Your Dea..
VIVA h2o insulated Water Bottle / Flask are made of high quality food grade 18/8 stainless steel. Th.. Style up your girls wardrobe with simple yet stylish dress with tassels and lovely combination of 2 .. The pencil box is roomy enough on the inside to keep pencils and pens secure in one place. The other..
Children love to create, and creativity blossoms when a child has the right enablers. 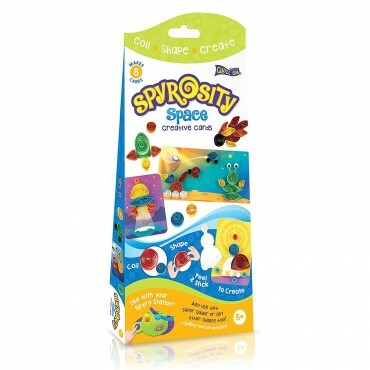 Spyrosity Explores is designed to give your child a truly unique play experience as theytake a few strips of paper and coil and shape them into 8 creative cards! 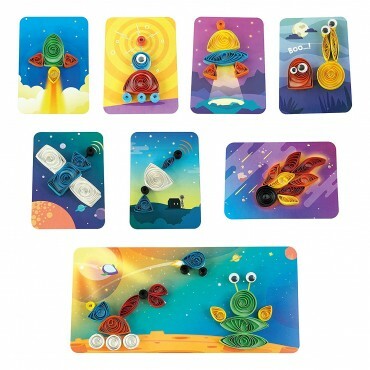 This theme pack is an instant hit with the young girls with its Princess Theme. It’s got all the favourite elements – from an Alien to a Mars Rover. 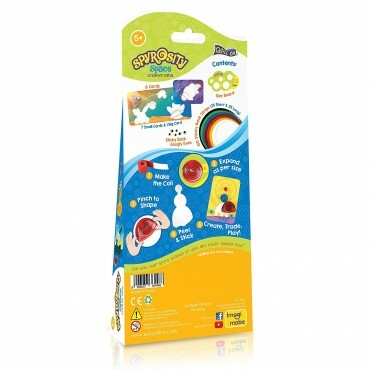 The 100 colourful paper strips provided stimulate a child’s vivid imagination while the pre-glued cards and strips make this a glue free craft that is completely hassle free! 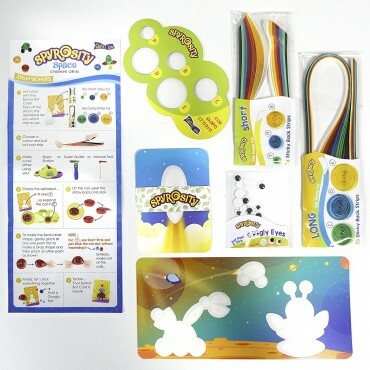 Crafting with this kit not only helps develop fine-motor skills but is also a great way to enhance creativity and self-expression.This quilling kit has been designed for use with the patent pending Spyro Station - a super cool motorized tool that is so inviting, it sure to get children excited about hands on crafting (Spyro Station not included). 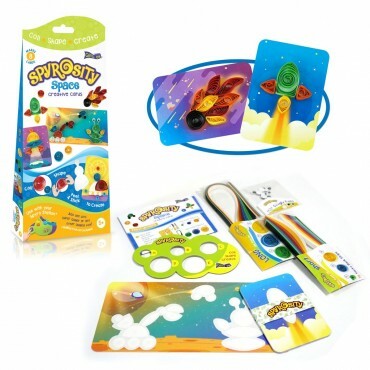 However, the beauty is in the versatile design which makes it possible for it to work with other quilling tools as well. Great Birthday Gift, Return Gift idea – a gift of creative exploration.